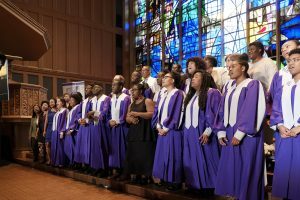 Northwestern’s gospel choir, the Northwestern Community Ensemble, performs at the 50th anniversary of the Bursar’s Office Takeover at the Alice Millar Chapel, May 4, 2018. 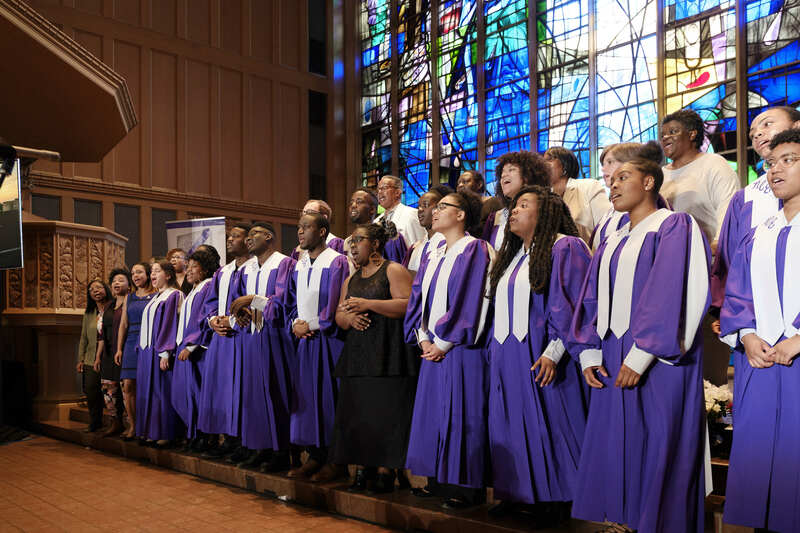 After 50 years, the key players in a dramatic protest that shaped Northwestern returned to campus this month to celebrate the results of their influential action, and reflect on the work yet to be done. 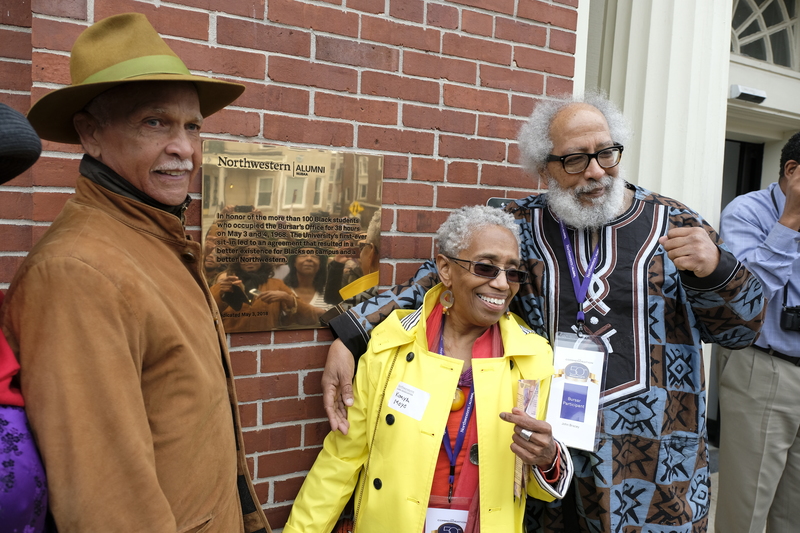 Nearly 40 participants and administrators in the 1968 Bursar’s Office Takeover returned to campus for panel discussions, tours, and other commemorative gatherings on May 3 and 4. As Northwestern Libraries’ Archivist for the Black Experience, and curator of “They Demanded Courageously,” the Libraries’ exhibition honoring the Takeover, I have the great honor of attending those events. It was a dynamic and memorable weekend of yet another historic moment in Northwestern history. In 1968, the Takeover was a response by Black students to the policies and open discrimination they dealt with at Northwestern. By occupying the Bursar’s Office on the morning of May 3, they drew attention to 15 critical demands intended to address disparities in the treatment and academic support of Black students. Most of those demands were met in a final resolution between students and Northwestern administrators. 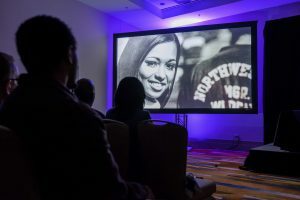 Screening of the documentary “The Takeover: The Revolution of the Black Experience at Northwestern University,” commemorating the 50th anniversary of the Bursar’s Office takeover. The commemoration weekend was at times filled with laughter, as well as with opportunities to hear firsthand from the protesters. It was also insightful to hear from post-1968 alumni how the Takeover enhanced their experiences at Northwestern, even in their testimonies about beloved deans of the Department of African American Student Affairs, many of which returned to campus this past week. I’m proud that the library took part in paying homage to this courageous group of alumni and has shined a light on the substantial and lasting changes they instilled at Northwestern. In addition to the online exhibition, “They Demanded Courageously” is on view in Deering Library through July 31.